Openlearn always use our creative talents to produce high quality eLearning solutions. Some of our great work. This 45 minute course was aimed at new starters of the Northern Territory Government (NTG). The content was stunningly visual, using bespoke photography. It covered topics such as ‘your employment’, ‘work health and safety’, ‘workplace behaviour’, and policies etc. The first topic was individually tailored for four different agencies. Openlearn designed and managed a high profile series of elearning orientation modules for all new CBA employees. The project was very high profile and involved five, 20 minute compliance modules which are required training for all 37,000 employees. Openlearn developed six sales skills modules for BaptistCare. We created immersive scenarios and a storyline with a range of media e.g. custom video and photos, infographics and animations. They were developed for multi devices, and are W.C.A.G. accessible to AA level. This course introduced AEC employees to the procurement framework in their workplace. A fun start for learners was choosing their own avatar to go through the course. We used many realistic scenarios - different characters requested information and the learner had to decide how to respond. This AITD award-winning course on diversity was aimed at all Optus staff, to identify bullying, harassment and discrimination in the workplace and explain employees’ rights and responsibilities. Openlearn used custom video to create strong, emotionally engaging scenarios. The learner is asked to choose from a range of responses and then shown the consequences of their actions. The 45 minute Endeavour Energy module provided Endeavour Energy employees with the knowledge and skills for them to reduce the impact of fatigue and support the implementation of a fatigue Risk Mitigation procedure. We included several highly visual interactions to enable users to discover strategies for managing fatigue, such as exploring a fridge and a bedroom. Openlearn completed a module on Security and Fraud Awareness for CSIRO. The engaging design consists of several storylines and characters with interactive scenario-based activities. We also used a range of media including video, animation, audio, custom photography, icons and other graphics. The Fatigue Management program was targeted at all levels of TfNSW employees. It aimed to identify factors that may impact on fatigue, some of the warning signs of fatigue, employees’ responsibilities to dealing with fatigue, and introduced strategies to reduce fatigue. Openlearn used a clean, crisp visual design, and used bespoke photography and infographics. Openlearn designed the Environmental Sustainability module to improve Ausgrid's environmental performance in the areas of environmental incidents and emissions, as well as reductions in energy usage. The objective was to develop a module that was visually engaging, catered to all employees and would require each person to make a personal and active commitment to environmental sustainability. Winner of the Platinum Green Training Award at LearnX and Highly Commended AITD award. Openlearn designed 10 ‘bite-sized’ eLearning modules for Transport for New South Wales to introduce the rail control system. The design is very visual and crisp, and we made complex concepts as simple and graphical as possible. Openlearn designed an award winning Record Management eLearning module for City of Sydney staff. We recommended including a game (building a park in the fictional City of Urbanville) to enliven the subject, engage the learner, and combat eLearning fatigue at the City. Winner of the Platinum Award at LearnX 2017 for best game eLearning module. Openlearn completed 12 modules for National Disability Services, all complying with WCAG 2.0 to AA level. They are highly creative and visually exciting and include custom video interviews and scenarios. They can be accessed on any device. The display is different when viewed on a smartphone – it is more visual and uncluttered, to suit the smaller screen. AITD Winner - Highly Commended award. Openlearn designed a Cultural Appreciation eLearning module for all AEC staff, to identify Aboriginal and Torres Strait Islander cultural beliefs and practices, and suggest verbal and non-verbal skills to use when communicating with these communities. The visual display is beautiful and compelling. Openlearn designed two modules for the NTG on Merit Based Recruitment. We decided that the visual style should be a ‘cartoon’ style, as we needed to cover a range of ethnicities, ages and people including indigenous peoples. In this game-based course the learner helps the professor to build a Jetpak while discovering the insurance product development and underwriting process. Openlearn won the coveted Brandon Hall Bronze Award for excellence. Bronze winner at Brandon Hall awards. Openlearn designed and developed a 45 minute eLearning module and facilitator guide to help employees reduce the impact of drug and alcohol issues and support the implementation of drug and alcohol policies and procedures under the Lifeguard Program. We used a video storyline and green screen interactions to fully engage the learners. Openlearn is designing 10 modules. 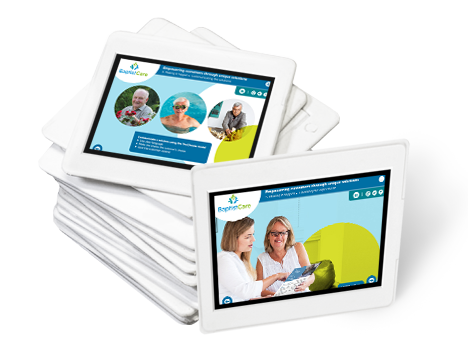 In each one, the learner works interactively with Lifetime Care staff, service providers and participants as an engaging way of exploring the Lifetime Care and Support Scheme. The course raises the level of environmental awareness across Sydney Trains, including environmental risks and opportunities for improvements. It also outlines employees’ responsibilities to comply with environmental obligations. Openlearn designed and developed a 25 minute module aimed at providing all Sydney Trains employees with an overview to SEQR policies, procedures, and their role as SEQR specialists. We ensured the training was realistic and relevant by using a storyline element, and following an employee using SEQR systems in their day-to-day work. The aim was to enable all employees to grasp the essential behaviours required by the Oil Search Code of Conduct. This was achieved through effective interactive scenarios for employees who are based in many regions of the world. The course equips the learner with the skills required to be the ‘go-to’ person for anyone who is concerned about their betting or someone else's betting at their sporting club, They will become their club's champion of the Responsible Gambling Charter. Openlearn completed a project on Fire Safety for FEROS which consist of three versions for different streams of Feros Care. The modules are developed in Storyline2, for desktop, laptop and Samsung Galaxy Tab 3, 10.1 tablet. They contain thought provoking interactions, based on the learning objectives, which contribute to effective learning. The modules are visually compelling with high standards of graphics. Openlearn developed 10 online training modules for the WACHS workforce, to provide up-skilling for nursing and allied health professionals in the area of clinical supervision of students. We used a raid development technique to speed up the build process and meet deadlines without sacrificing overall quality. We won the Platinum award at LearnX for best eLearning design using rapid authoring for this suite. Openlearn creatively designed three interactive modules to increase awareness of the causes and effects of mental illness on people’s everyday lives, together with treatments and long-term prospects. The modules also included managing an employee with a mental illness, and working with a colleague who has a mental illness. Openlearn developed two recruitment modules (65 minutes content in total) for Roads and Maritime Services. We used scenarios and real-life examples where possible to step the learner through the merit principle and policy, and best-practice methods for shortlisting and assessing applicants. Openlearn designed and developed two orientation modules, to introduce new employees to information early in the orientation cycle that was essential to their development, safety and obligations. The design phase involved Openlearn liaising with a large number of stakeholders. The modules covered induction topics such as Probation, Behaviour, WHS, Security, Conflict of interest and Privacy. The challenge was to enable the learners to apply the legal requirements of the CCA to their everyday job role, without burdening them with information overload. The learner may be expecting a dry legal course, but instead is immediately engaged by everyday interactive situations. We also provided a Fact Sheet to keep as a reminder for the future.